A house full of comic books with a lego room and of course, chocolate shakes for lunch and dinner. Relive your childhood and nerd out at Comic and Brics Cafe on Tilak Road for a trip down the memory lane. Comic and Brics Cafe has over 5000 comic books under one roof. You'll find your favourites: Marvel, DC, Tintin, Asterix, ACK fandom comics. 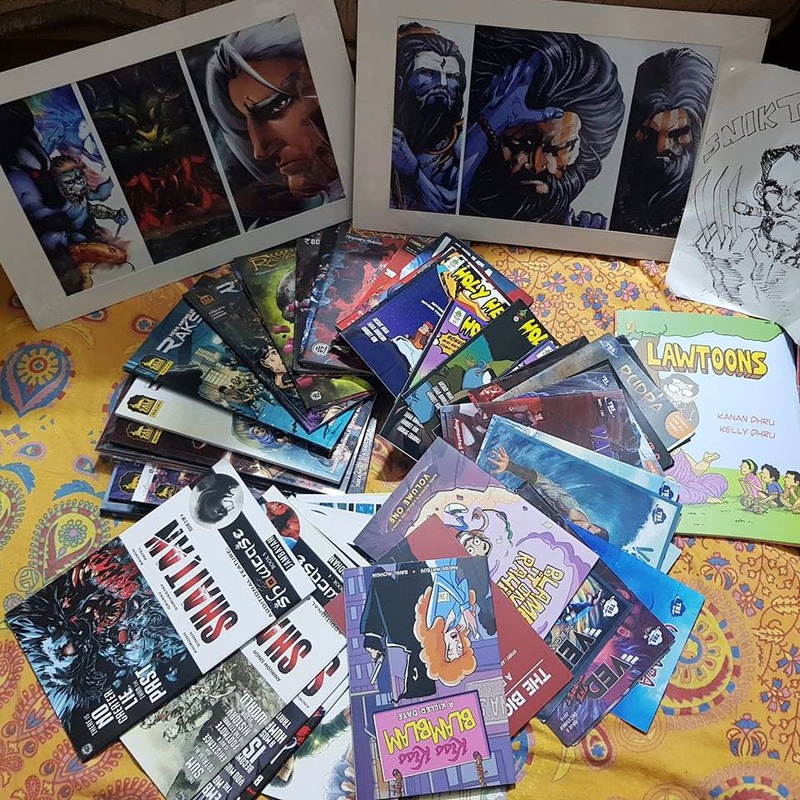 And, a number of Indian comics such as Aghori, Shaitan, Indrajal, Raj including everyone's childhood favourite, Chacha Chaudhary. However, Comic and Brics is not just about your comics, it also has a separate lego room. The cafe has a pre-made model of the Hogwarts Castle and they also have a number of collective lego sets such as The Lord Of The Rings, Star Wars and many more that will let your inner child soar high. As you get occupied with the comics and the lego, you can sip on their milkshakes and coolers. We highly recommend you to try out their Oreo and butterscotch shakes. In coolers, you can enjoy the regular lemon mint or lemonade. Otherwise you can beat the heat with more traditional drinks such as kokum, buttermilk and our personal favourite, sol kadi. Comics and Brics also has a few selected options when it comes to food. Their food menu comprises a number of vegan-friendly and Jain dishes too. The secret to their delicious sandwiches is that they bake their own fresh breads. A meal for two will set you back INR 300 and you can grab your regular cafe fare and a comic and while away a hot afternoon here. We wish the cafe would allowpeople to take the comic books home and run a library of sorts. If you want to spend a day just by yourself or have over two hours to kill, grab a comic and chill.